Last Week: Close. Friday looked right on, but Saturday wasn’t windy at all anywhere. 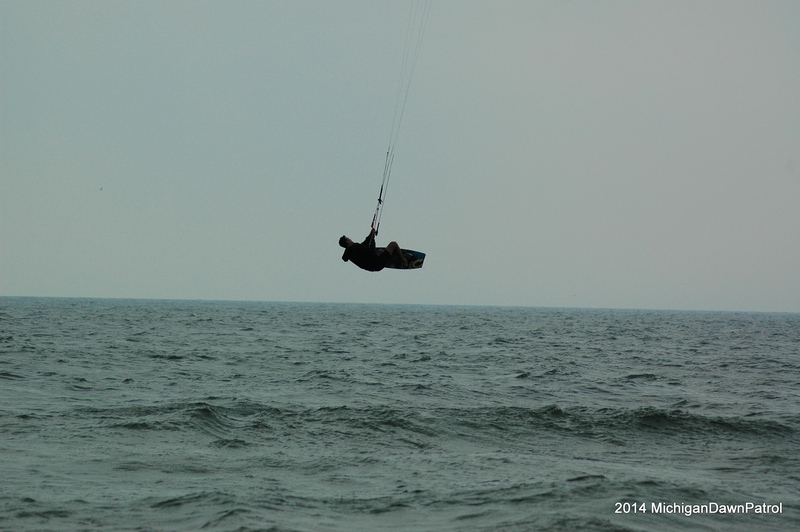 Sunday, came close at pt betsie, but really all that you could do is work the kite and ride downwind. Today: Another Friday that looks good forwind at the points. Little Sable and Pt Betsie should be 20 to 25 knots out of the south. Muskegon and north is rideable as well. Saturday: There is going to be some breeze out of the south and west, but there will also be rain and storms moving through at times. Not enough sun for thermals and the wind generated by the storms doesn’t look like it’ll stick around. Sunday: Another light wind day until the evening when a cold front is supposed to pass through. The wind is going to shift to the NW with the passing of the cold front, but the front will also bring rain and storms. Unfortunately it doesn’t look like the NW wind will be rideable until Monday. Bummer the last few weekends haven’t delivered, but at least we are getting some wind during the week. I’ll be able to check in and comment with forecast updates this weekend.